George is aware of the obstacles many people face on their quest to building fitness. The path he took from an overweight adolescent to winning a state championship in high school wrestling, informed him of the importance that hard work, family support and good coaching play in the development of an athlete. 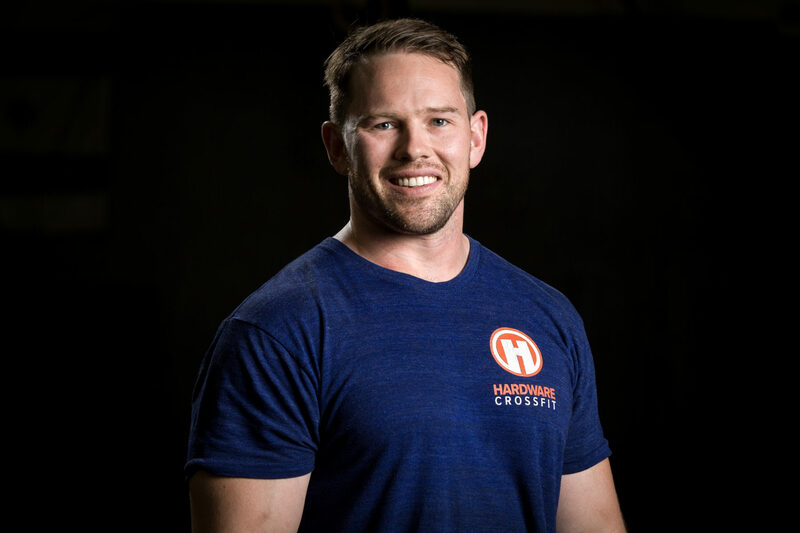 George has worked in the “Health and Fitness Industry” since 2004 in several capacities, such as globo gym trainer, corporate fitness presenter and trainer, and director of training and head coach at CrossFit Construct in Chicago before opening Hardware CrossFit in 2012. Helping athletes refine their technique, improve their mobility, or change their body composition, all present rewarding challenges. Being a part of the sense of empowerment that people feel when they are able to accomplish their athletic, fitness, and health goals has fueled George’s passion for CrossFit and coaching. George has a Bachelor of Arts from Indiana University. Growing up in Arizona, Jessica focused her energy on athletics. In high school, she was a varsity athlete in volleyball, basketball, and track. She and her high school volleyball team won the State Championship in 2003. Jessica continued to play volleyball throughout college, playing for the University of Arizona’s Club team that placed 2nd in the NCCS National Volleyball Championships in 2009. Jessica was introduced to CrossFit shortly after college and found that it filled the void created by volleyball. Jessica enjoys CrossFit because of the team environment. Athletes make progress because they are pushed and encouraged by fellow athletes. She hopes that athletes will see those benefits as well and appreciate the positive, supportive community we have at Hardware CrossFit. Jessica has a Bachelor of Science in Accounting from the University of Arizona. She lives in Chicago, Illinois with her husband George, and their gym dog, Reggie. An Australian-born Canadian, Owen has been active and played sports most of his life, including hockey, soccer, field hockey, skiing (downhill and cross-country) and other outdoor activities. He also played rugby competitively until a recurring shoulder injury and a less resilient body pushed him to the sidelines, where he discovered the rewards of coaching. This resulted in a more sedentary lifestyle and a whole lot of white bread and butter (and bacon of course) started to take a physical toll until Owen discovered CrossFit after reading the transformative The Omnivore’s Dilemma (Michael Pollan, 2007) and resolved to make positive lifestyle changes. In 2009 Owen and some friends began doing CrossFit main site WODs in a variety of non-box environments – including his basement gym. 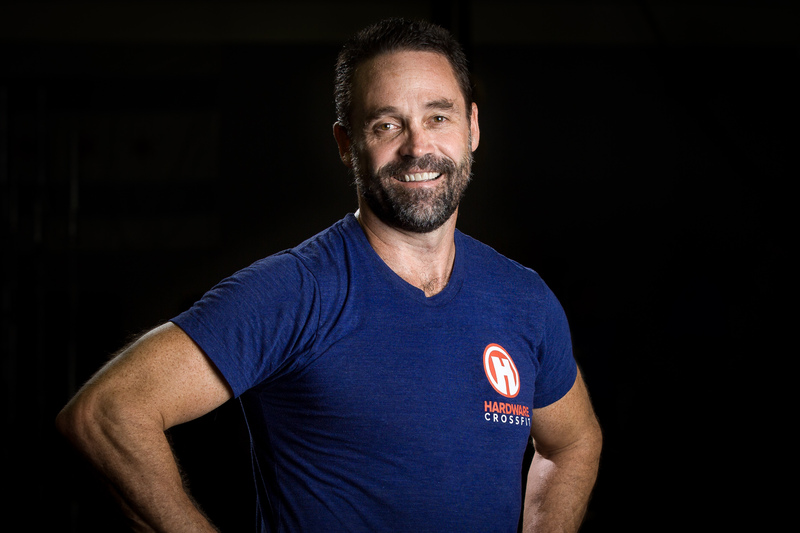 CrossFit’s variety, open-source methodology, science and structure has filled a hole for Owen and coaching has provided Owen with additional growth opportunities on his quest for virtuosity. He loves that everyday is an opportunity to learn. Owen and his wife, Laura, live in Rogers Park with their 2 cats. Tommy has always loved and participated in sports. As a youth, he played hockey, water polo, and was part of the swim team. In high school he focused primarily on water polo and swimming. During his junior year, Tommy helped lead his water polo team to the high school state tournament, but ultimately fell short and finished 3rd place in state overall. In short, Tommy is a competitor, and feels his best when being active with others. Since high school, it was hard for Tommy to find a fun way to stay fit. He tried joining LA Fitness, but quickly found himself bored with the little variation in his daily routine. In the winter of 2013 Tommy walked into Hardware CrossFit, nervous but more so excited, for a private introductory class with Head Coach/Owner George. After his session with George, and participating in a free class, Tommy was hooked (to say the least), he signed up as a member of the Hardware community and we haven’t been able to get rid of him ever since. Tommy sees CrossFit as an empowering community. As a coach, he is excited to have the opportunity to help his peers reach, and surpass their goals. A former competitive swimmer, Katy has always loved the challenge of setting and achieving fitness goals. Cleaning through her childhood bedroom recently, she found a notebook listing target benchmarks that she set, at age fourteen, for her future high school and college swimming career. Little did she know that twenty years later goal swim times would be replaced by similar aspirations in CrossFit. Throughout her life, Katy has found that working with others to reach their goals is even more rewarding than meeting her own. Her professional life has taken several twists, but teaching, learning, and community building have been constants. Before pursuing her current career in higher education, Katy worked in recreation management as an aquatic director at a YMCA. In that role, she particularly enjoyed teaching adults how to swim, helping them work through their fears and over-thinking of the movements. 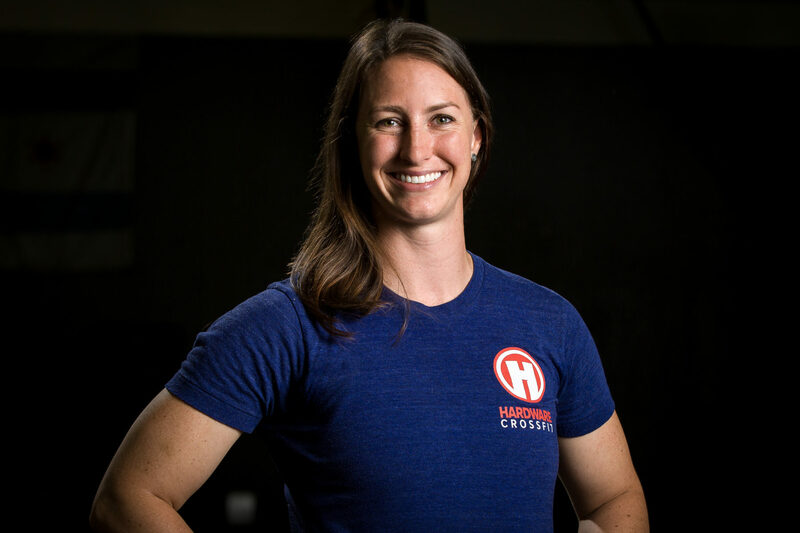 Katy found CrossFit late in 2011 and joined Hardware as a member shortly after the gym opened in 2012. The thing she loves most about the experience is learning new skills that she had never been able to do before. During workouts she often thinks to herself “I can’t believe I can actually do this!” She is thrilled to have the opportunity to coach others and to help foster an awesome community of athletes! Anthony started to participate in competitive Tae Kwon Do in early elementary school. He competed in numerous local and state Tae Kwon Do tournaments, winning in both forms and contact sparring. Once in college, Anthony stopped competing due to an undiagnosed illness that made staying physically active very painful; the loss of mobility and unbearable pain drastically changed his life. After being properly diagnosed and treated for ankylosing spondylitis (a form of rheumatoid arthritis), normal physical movements that were once painful such as walking and running became pain-free. With diminished strength, mobility, and lack of self-confidence, Anthony started back on the track to athleticism by enrolling into a big box gym. The multitude of machines and lack of guidance left him with little motivation to improve his physical limitations. Upon discovering Hardware CrossFit, coaches George and Jess reassured him that workout programs can be scaled for athletes of all abilities. With George and Jess’ strong support and coaching, his strength, mobility, and self-confidence have all greatly increased. Anthony looks to “pay it forward” in the community by helping all athletes attain their fitness goals. Growing up in Nevada & New England, Dana always played organized sports (football, wrestling, track). Never the best athlete on the field, mat, or court, Dana excelled at practice and especially loved the conditioning that everyone else seemed to hate. Shortly after moving to Chicago to pursue his doctorate, though, a knee injury and the bad habits of graduate school (not sleeping, heavy drinking, literary theory) caused him to give up the gym & turned him into an unhealthy adult. Having hit a low point around 2005, he worked his way back into a little better shape doing the globo-gym thing on his own. However, in 2009 while taking a long kayak trip on his honeymoon with Melissa diLeonardo (aka, Hardware’s yoga coach & the Chicago Reader’s Best Personal Trainer of 2013), Dana quickly realized he would have to up his game if he was going to keep up with her for the next several decades. A little internet research led him (and Melissa) to CrossFit Chicago where he rediscovered his passion for fitness (and met George). Six years later, Dana is a part-time personal trainer, a full-time dad, and the happiest he’s ever been. As a coach, Dana is especially interested in helping people achieve their best balance between challenge & sustainability, between working harder than you ever have & having a whole lot of fun. As a proud member of the smart, diverse, and hilarious community that is Hardware, Dana is humbled by the opportunity to help make—and keep—you stronger & healthier. Ozzie was on the Evanston Township High School basketball team in 1975. As was common in the era he grew up in, he spent his entire youth as an athlete playing all sports; baseball, basketball, football and even hockey. Basketball was his favorite. Mostly all of the athletics were “play”, for fun. He remained athletically active even as he pursued his career as a professional rock pianist. Also, formerly a teaching staff member at the Old Town School of Folk Music. Move ahead 35 years or so, sore calves and all, and we see the fitness-crazed 58 year old. Ozzie specializes in helping people through exercise, diet, and a peaceful mind and spirit, to discover their “will to be fit”. 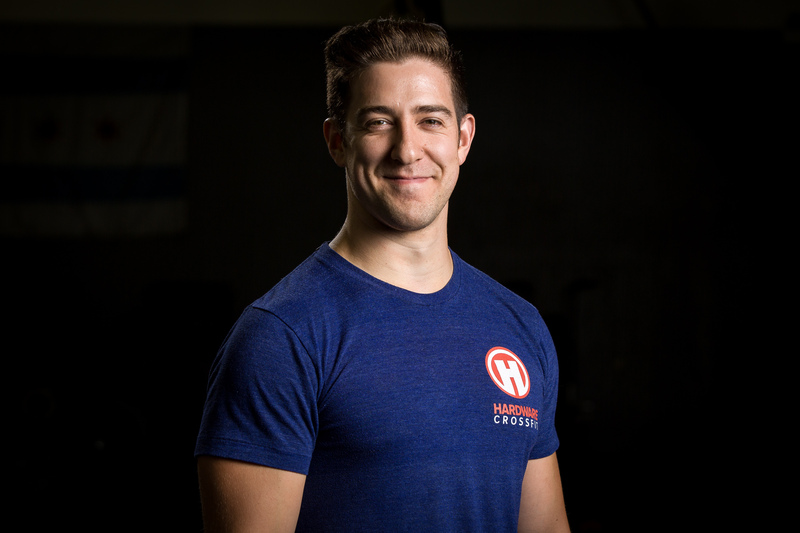 Ozzie started his Crossfit journey 7 years ago at Evanston Ultfit, and after 4 years subsequently became a CrossFit Level 1 Instructor and began to teach classes there. Ozzie has a passion for teaching and an obsessive nature that that goes along with his belief in the concept of striving for perfection and virtuosity. Those are concepts that unite his musical ability and his fitness life. Ozzie likes to emphatically say, ‘“if anyone tells you cannot get stronger as you get older, they are wrong.” Ozzie believes in being fit over 50. Adrian has had a life long passion for helping others in any way possible. Even in his youth, he was placed in leadership and teaching positions among his peers. In 2010, Adrian decided to make it official and become a Certified Personal Trainer through ACE. After working for Globo Gyms and through private personal training companies, Adrian came to the sad realization that most of these companies were not actually trying to make their clientele BETTER, but were solely focused on taking people’s money. It was this realization that led him to create his own personal training company, People’s Champ Personal Training. The mission of People’s Champ is to bring fitness to anyone who has the will to succeed. It is a company for the PEOPLE! Adrian has been infatuated with the CrossFit methodology, and the accompanying dietary and mobility necessities, ever since discovering it. He simply cannot learn enough! It is because of this that he has had so much success with using CrossFit to change the lives of his clients. When done properly, CrossFit works. It is an undeniable truth. Outside of his personal and professional fitness endeavors, Adrian has had an 11 year career as a professional actor, singer, dancer, and musician. At this point he is most well known for being one of only 3 men in America that has played the role of ROCKY BALBOA in the Broadway Musical of ROCKY, which was in the Winter Garden Theatre in NYC in 2014. For that show he also got to perform on David Letterman and on the Tony Awards telecast. If you are a theater-goer in Chicagoland, you’ve probably seen Adrian in one of the 30+ professional musicals he has done in the area over the last 11 years. It’s also possible that you saw him in his multi-episode arc as Special Agent Freddie Castillo on CHICAGO PD on NBC. When he’s not lifting, coaching, or making music, Adrian spends his time wondering how he got so lucky as to be the husband of his incredible wife, Brianna (who is also a professional actor,) and Daddy to the coolest kid of all time, Ian. Darcy’s love for sports began at a young age and ignited a lifelong passion that still burns brightly. For Darcy, sports helped her to belong (even when most of her teammates and coaches didn’t look like her) and is what ultimately helped her stay focused, taught her leadership and gave her purpose. She was a three sport athlete (volleyball, basketball and softball) from grammar school through college. Darcy received a Basketball, Volleyball and Softball scholarship to Oakton Community College and during her career at Oakton she was honored to be team captain for all three sports. 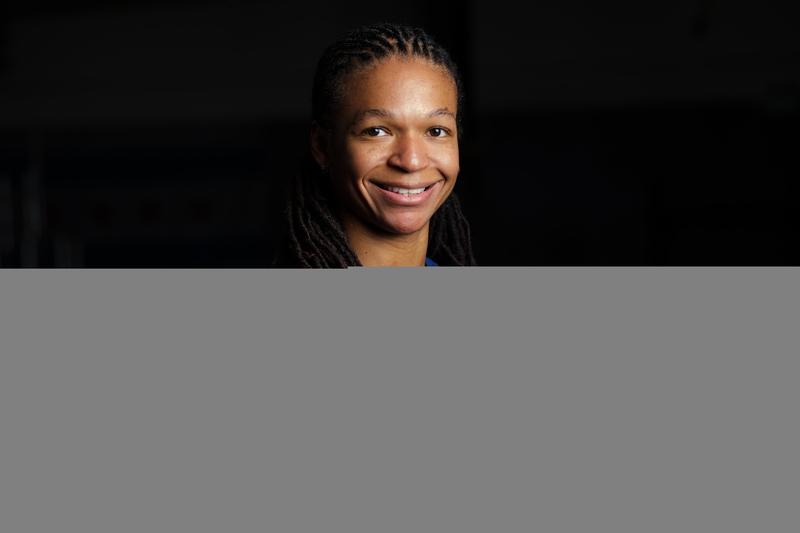 After college Darcy began her 8 year career on the Chicago Force women’s tackle football team, where she achieved some of her greatest athletic accomplishments. During her career on the team she was a national champion and was decorated with many individual awards every season, including the perennial team Defensive MVP and league All American. Her highest honor of all was being named Women’s Football Alliance Conference Player of the Year in 2013. After retiring from football Darcy was looking to become involved in a sport where she could challenge herself, while also feeling part of a team–and so began her journey with CrossFit. As a CrossFit Coach Darcy enjoys utilizing her background of sports, fitness and nutrition, while celebrating diversity and inclusion and giving her athletes a platform where they are encouraged and empowered. When Darcy is not CrossFitting, she enjoys spending time with her wife, their son and two dogs, Dexter and Pig.